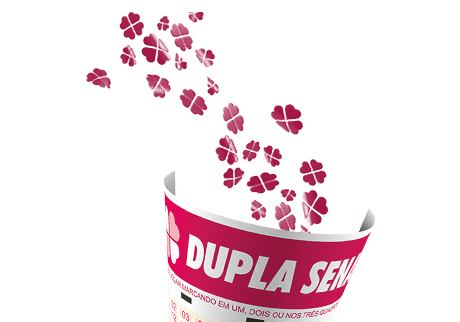 Dupla Sena is one of the most exciting games to come out of Brazil’s lottery scene. Not only are the odds of winning quite favorable, you’re also looking at uncapped rollovers and easy-to-grasp core mechanics. More importantly, Dupla Sena is also one of the more unique games out there—letting you play one set of numbers for two consecutive draws. Intrigued? Join me below as I take a closer look at Dupla Sena. In the wake of the resounding success of Brazil’s Mega Sena game, the Caixa Company wanted to introduce something fresh and exciting to the market. In 2001, they launched the Dupla Sena—which was designed to hold double draws from the start, as evidenced by the name (Dupla means “double”). Thanks to the back-to-back draws—not to mention the favorable odds—it has become one of the more popular lotteries in Brazil. Double Draws: Dupla—meaning “double”—Sena features double draws and is played three times a week. That means, for each week, there are a total of 6 draws! Easy, Unique Mechanics: Dupla Sena’s mechanics are pretty easy to learn. There’s also a unique twist wherein players can play one set of numbers throughout two consecutive draws. Rollover Lottery: Jackpots rollover whenever no one wins in a current draw. Four Ways to Win: Dupla Sena offers a total of four prize tiers. Relatively Good Odds: Compared to other, bigger lotteries, Dupla Sena’s odds are quite favorable. How Does Dupla Sena Work? Dupla Sena’s mechanics are as easy as pie—lotto neophytes in particular won’t have any problems learning the ropes quickly. To play, you must choose six main numbers from a selection range of 1 to 50, and to win the jackpot, all six of your numbers must match the winning numbers drawn. You can also win three other ways by matching five, four, or only three of your numbers. Pretty simple, right? Here’s where it gets interesting. Unlike most lottery games, Dupla Sena enters their players’ numbers into two draws that are held back-to-back on a single day. Even better, the game is played on a tri-weekly basis (every Tuesday, Thursday and Saturday), which means that there is a total of 6 draws every week. In other words, you can simply buy three tickets every week and get entered into all 6 draws. Jackpots, meanwhile, start at R$300,000 (give or take $94,000) and rolls over to the next draw when no one wins. While the starting jackpot is relatively small—especially compared to other lotteries—Dupla Sena’s rollovers are uncapped, which means the potential to win big is there. Like most lotteries, if you do happen to win in the Dupla Sena, you can choose between two payout schemes: annuity or lump sum. For the uninitiated, annuity simply means you will be getting your winnings in yearly installments. The lump sum option, meanwhile, means you can get your winnings right then and there—though tax deductions are generally heftier. Speaking of tax deductions, not all Dupla Sena winnings are subjected to taxes—it depends on the amount. For instance, winnings amounting to R$1,868 or less are exempted from tax deductions, while anything beyond that is subjected to a 27% tax. On the other hand, there is also a 13.8% federal tax deduction applicable to both categories. As for claiming prizes, all winners have up to 90 days from the draw to claim their winnings—otherwise, prizes will be forfeited and used for funding good causes. Around 33% of ticket sales is used for various government projects, while some 40% is used for upkeep of the lottery. Unclaimed prizes go to the Fund for Student Financing of Higher Education. Brazil’s Ministry of Sports supervises the distribution of ticket sales because a portion of it goes to sports-related programs. Sao Paulo has the most number of winners so far, with a total of 87. Minas Gerais, meanwhile, is the state with the second most number of winners, with a total of 25. As for the lowest number of winners, there are currently seven states that only have 1 winner each. With double draws and favorable odds, YOU might just win the next Dupla Sena draw! Brazil’s Dupla Sena is, so far, one of the most unique lottery games around. It’s core mechanics—the 6/50 format, that is—is pretty simple and not really that unique, but what really sets Dupla Sena apart from the pack is their double draws. On top of that, the game also features uncapped jackpots and rollovers, four prize tiers and some favorable odds. While the starting jackpot isn’t that impressive, and tax deductions are quite hefty compared to some games, Dupla Sena’s unique features alone make them worth a look.